Rigging Winch — Sky Rider Equipment Co. In the early 1980’s Sky Rider began designing, installing and operating material winches for rigging, construction and building repair work. 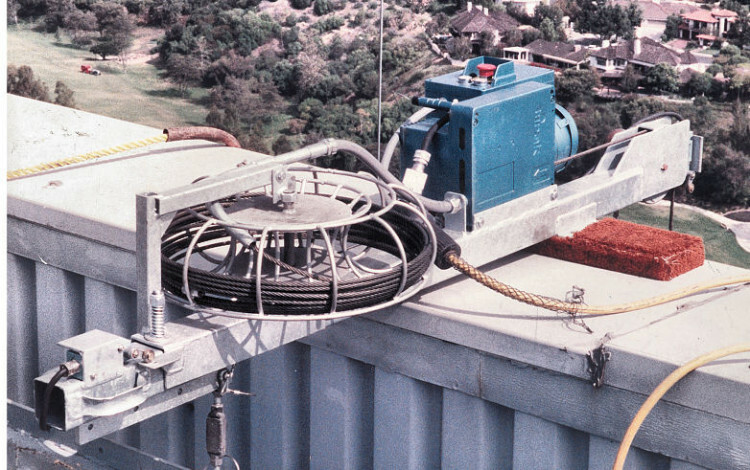 The first photo shown below is of a winch designed and manufactured in 1988 for glass installation on a building in Newport Beach. 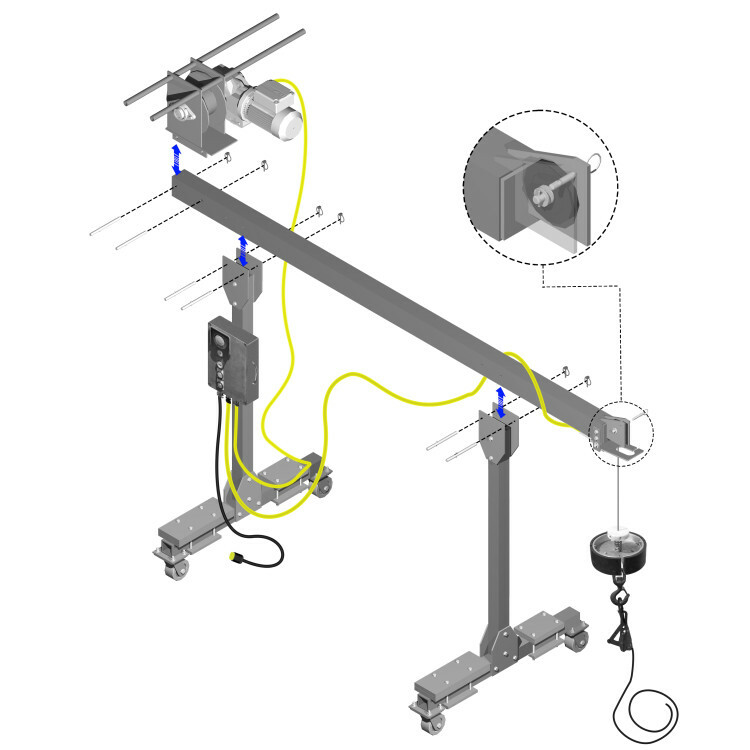 This winch was provided with a 300′ long pendant to allow control of the glass, independent of the platform, from the ground to the installation point on the building facade. 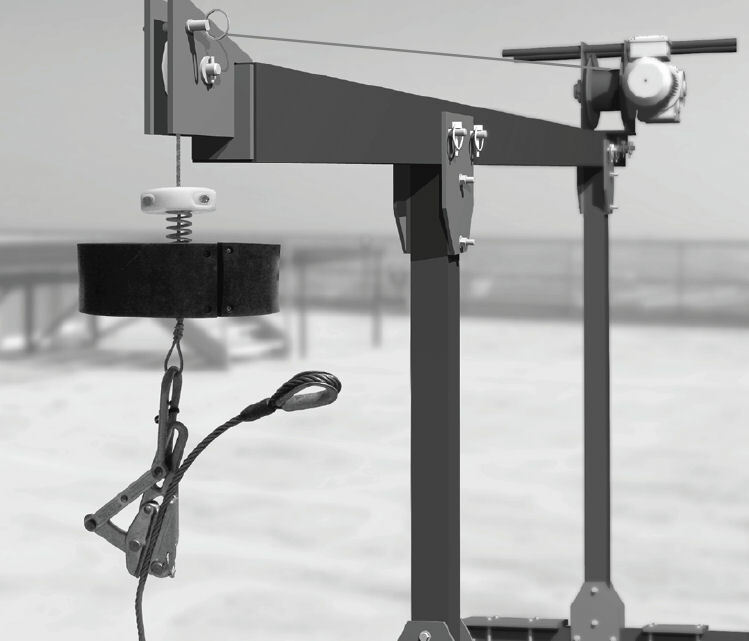 A more recent winch design, shown next, is used for rigging power cord and wire ropes between roof levels and balconies for compliance with CAL-OSHA Title 8 which disallows hand rigging over 130′. The winch assembly can be broken down into component parts for transport or storage.